Address: 629350 Yamalo-Nenetsky АО, pos. Tazovsky, Geophizikov St., 18. Zapovednik Gydansky, in Tazovsky District of Yamalo-Nenetsky Autonomous Okrug, on Yavay, Mamont, Oleny peninsulas and on the islands of Karskoye Sea – Oleny, Shokalsky, Proklyatye, Pestsovye, Rovny, was established in 1996. Its area is 878,2 thousand ha, of them 71,8 thousand ha are water areas. The topography is formed by paludal valleys with numerous rivers, brooks and lakes. 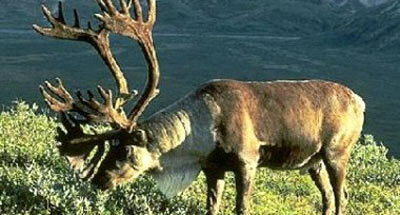 In the plant cover communities of Arctic subzones of tundra are presented. 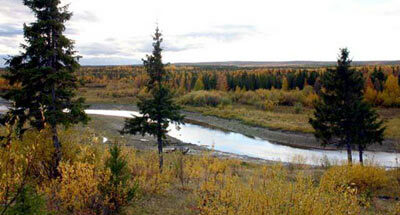 The vegetation is very diverse featuring a combination of tundra communities and desert elements. Lichen-moss, shrub-moss tundras, cottongrass-moss paludal tundras and sedge mires prevail. Moss tundras are characterized by purple osier — dwarf birch-moss and grass-moss communities. The former are shrubby (dwarf birch — Betula nana; grey-leaved willow — Salix glauca and wolly willow — Salix lanata), shrub hedges, herbaceous plants (cottongrass Eriophorm polystachion, Arctic blue-grass, serpent-grass). The herb-moss communities are dominated by the sedge Carex bigelowii. In the lichen tundras the herbaceous-shrub layer is sparce, and the supra-soil cover consists of lichens and some mosses. 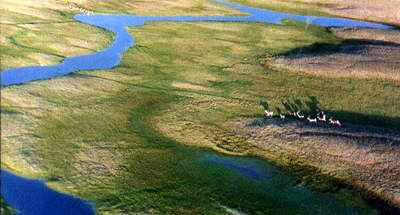 At the rivers valleys willow forests with cottongrass, herbds, forbs, sphagnums and true mosses grow. The mires are mostly complex: mesotrophic bogs and eutrophic fens. The animal life includes numerous species listed in the Red Data Book of the Russian Federation as the polar bear, walrus, red-breasted goose, Bewick’s swan, white-billed loon, Arctic falcon, peregrine falcon.